Situated by the ocean, this vacation home is within 1 mi (2 km) of Avalon Golf Course and Avalon Beach. Newport Beach is 2.5 mi (4 km) away. A beautiful private hotel. Beautifully appointed, amazing views. Attentive staff, fantastic restaurant. Appreciated the welcome drinks. A lovely touch. Just beautiful!! Great location. Hotel also runs the restaurant downstairs. Dinner menu is great, pappardelle was delicious. The breakfast menu is very unimaginative and could do with a revamp. Hotel room was great, nice fitout, comfortable bed. Would recommend. Getting excited for your trip to Avalon Beach? Don't head off until you've checked out these helpful tips. You're not likely to have any trouble finding it. It's based in Sydney, the state capital. 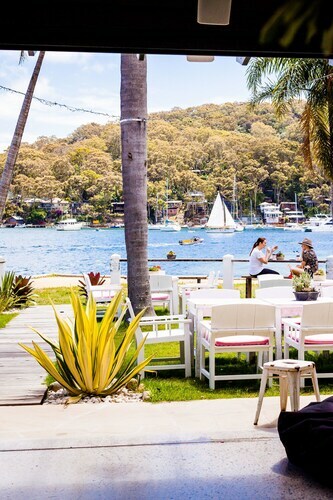 If you're wanting to stay within easy driving distance of Avalon Beach, the Jonahs Restaurant & Accommodation, Whale Beach, 3 kilometres away, is your best option. Are you looking for an upscale hotel that's not too far afield? Have a gander at the Quality Hotel Sands and Metro Mirage Hotel Newport. For an early morning hit or a mid-morning pick-me-up, grab a coffee at Beco@Chelsea. 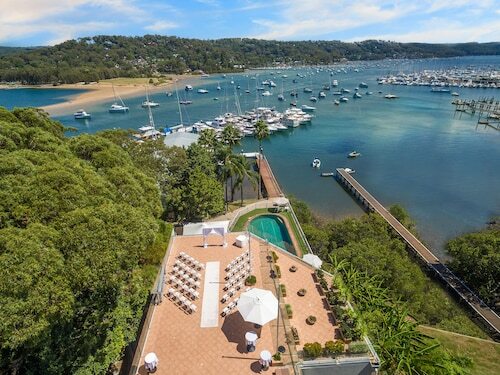 You'll find it conveniently close to Avalon Beach. Head to Different Drummer Avalon to have a big meal. Finally, reflect on your day with a drink at Avalon Beach RSL Club. Pick up your favourite 5-iron and make tracks to the well-manicured greens of Avalon Golf Course. Pull on your walking boots and keep your eyes peeled for local birdlife as you go for a wander through Old Wharf Reserve. You'll have hours of fun frolicking in the surf, and meandering along the shores of Bilgola Beach. Nothing quite matches the joy of lazing by the sea. Be sure to go to Clareville Beach. Avalon Stand Up Paddle is a well-known spot for amateurs and frequent visitors to enjoy some water-related activities. How Much is a Hotel Room in Avalon Beach? Hotels in Avalon Beach start at AU$95 per night. Prices and availability subject to change. Additional terms may apply.